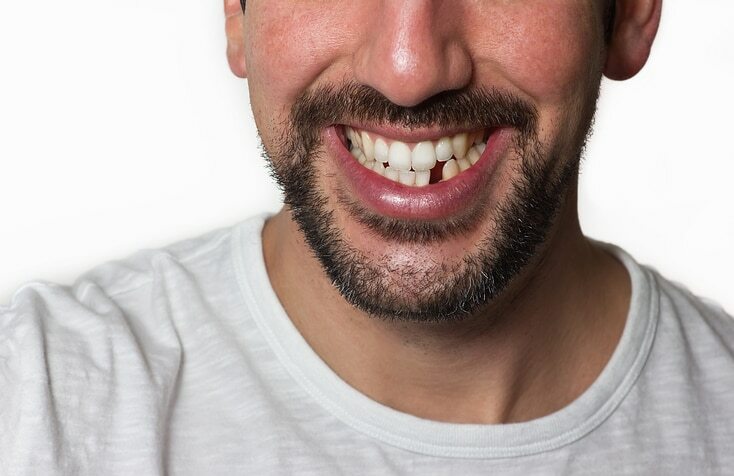 It is quite common for a Canadian between the ages of 20 and 65 to have more than two decayed or missing teeth. It’s a real concern for many. Why does it matter, you ask? Well, even if the missing tooth is not noticeable, it still affects the way you speak and chew your food – especially if you’re missing teeth in the back, which are meant for heavy chewing. When you lose those, you have no other choice but to use your front teeth for chewing. Because they are not intended for all that hard action, there’s a high probability that they’ll break down, as well. The remaining teeth may also shift when there’s a space that’s not supposed to be there. If you are missing one or more teeth, you are probably wondering what options you have for you to be able to restore your smile. We’ll help you decide! It is considered the most economical way to replace missing teeth. A partial denture is removable. It has replacement teeth on a plastic base that is colored to match the patient’s gums. It is connected to adjacent teeth using metal clasps. This is how partial dentures snap in place for both support and retention. A fixed bridge is yet another good option for replacing one or more missing teeth. A bridge replaces a patient’s missing tooth by connecting to adjacent teeth. For large restorations, multiple teeth are attached. What a fixed bridge basically is a crown on supporting teeth on either end and a false tooth in the middle. Implants are considered by many to be the best option for replacing one or more missing teeth. With an implant, a titanium anchor is integrated into your jaw bone, similar to your natural tooth root. An aesthetic crown is then attached to that implant as a replacement for the missing tooth. Additionally, an implant helps you keep the bone height you have and it’s very hygienic, too. It is important that you take care of your oral health to avoid losing a tooth. However, if it has already happened, know that you always have the option to get a tooth replaced. To know which one is the most suitable for you, you can contact Pickering Square Dental and we’d help you choose the best option for you.